CPS SWITCH is a professional stable foot switch with off light (green LED) and on (red LED). This product houses an internal battery (not included) to allow light signals. It's compatible for changing channels of amplifiers or functions of devices that require only one function. 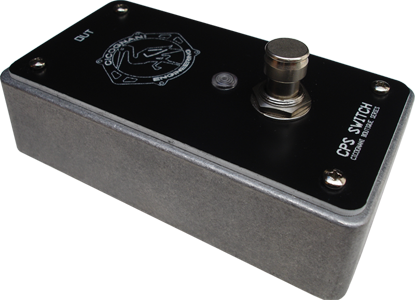 Stompbox format for being comfortability placed in a pedalboard. The signal path is fully analog equipped with professional IC on the signal, to create the best conditions of dynamic and powerful sound. A respectful look at the design of the past, enriched with modern techniques. Out connection: Jack mono 6,3mm.